Every once in a while, Vince and I go to the bookstore and go on a shopping spree. No, we don't do it every week or even every month because then we'll just end up buying lots of books and then have no time to read them. To be honest, we haven't even opened the books we bought on our last book-buying spree. That was in July. Vince and I have been up to our eyeballs in work and parenting duties. Actually, Vince does find pockets of time to read. I haven't been able to. At all. So I figured we won't visit the bookstore until I finish at least one book from the July shopping. 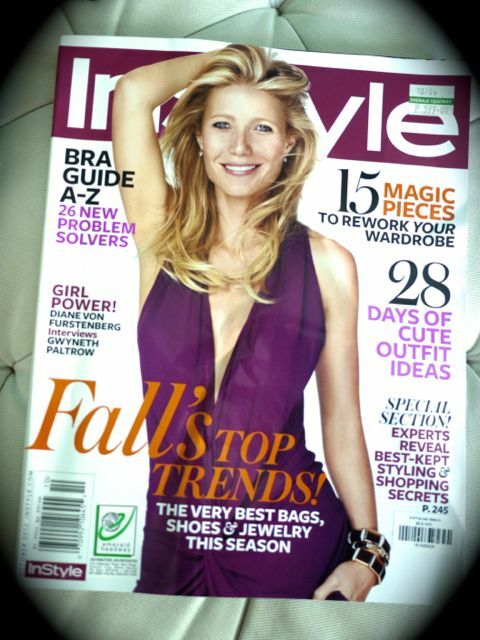 But then came Gwyneth Paltrow on the cover of InStyle's October issue. So off I trooped to National Bookstore, dragging Vince with me of course! Gwyneth is my ultimate girl crush. She is living the life I want. I admire how she worked so hard to be the best in her field (acting) and then gave it all up for her family. She disappeared for 5 years—an eternity in Hollywood—and then she came back as a lifestyle guru and cookbook author. I want that so badly! I admit that when Gwyneth quit her career, it seemed to me the most ridiculous thing in the world. But now that I have my own family, I dream of spending all day with my husband and children, of cooking their meals, of kisses and cuddles on demand anytime. This dream has a deadline, by the way. I really only want to do this while the kids aren't in school yet. I can't imagine staying home forever. 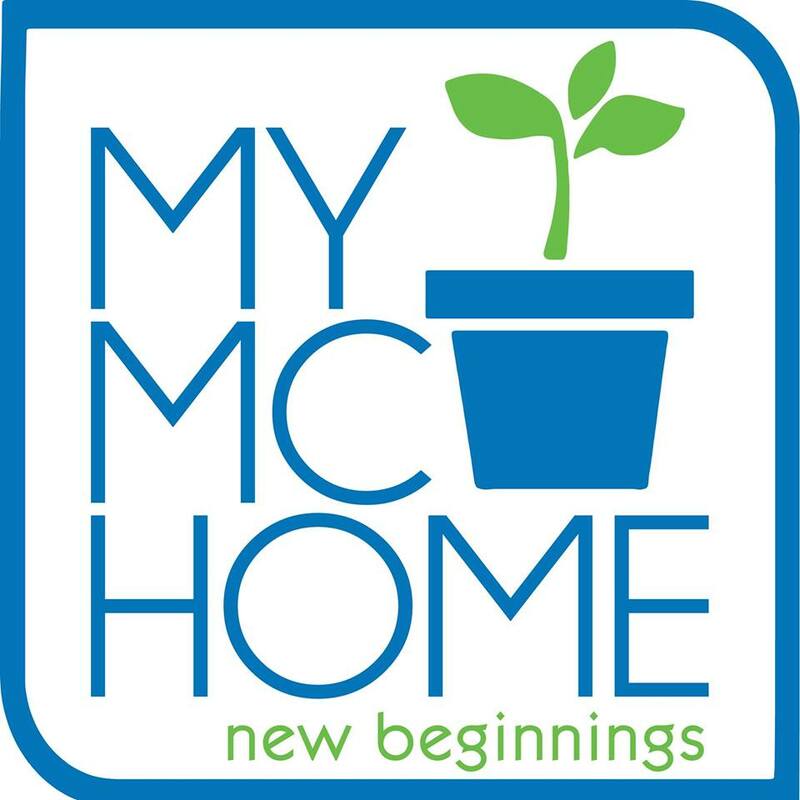 I need something outside the family and home to live for but, while the kids are tiny, I'd like to be there for them. 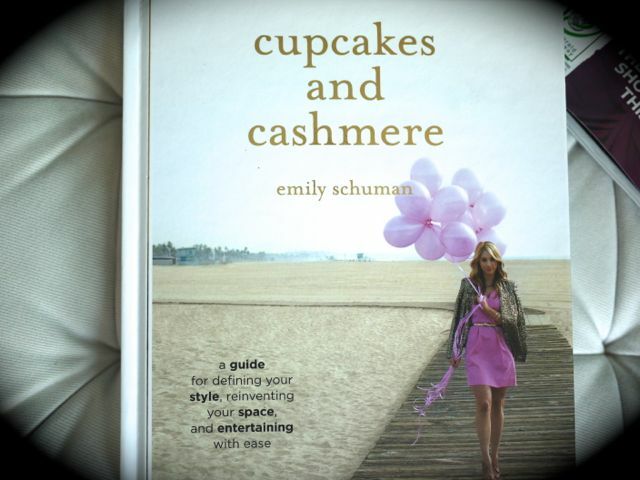 Cupcakes and Cashmere by Emily Schuman is a book based on her blog. I bought her book because I've been toying with the idea of writing a parenting book based on my mommy blog. But after reading her book, I dunno. On one hand, she made it look too easy and by easy I mean she made it look like a magazine or, in her case, a blogazine—short articles, mostly street photos, no-brainer instructional guides on how to, say, paint on nail polish ("Apply on the center of the nail first! ")—so why should I pay almost P800 for it??? It almost reads like a school project, a very slick school project. Well, she complained constantly on her blog that the book was such a difficult thing to do so okay, cool, I applaud her efforts. But, kids, I've been making magazines for 7 years. I can do this in my sleep. I have to step up the game. Or not! So on one hand, I think if she can get away with it, I pretty much could do the same thing. Lift stuff from the blog, post photos you've already seen, add a few articles and photos you've not seen to justify your purchase, and make you buy my book. Easy! Or I can actually write a damn good book with really great photos/illustrations about making motherhood work with grace and style! Which is not easy at all. So do we do easy or do we do difficult? But writing a book is something I really want to do. 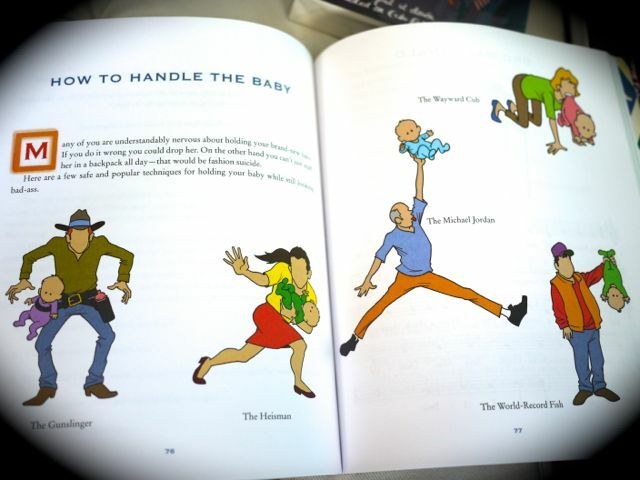 And a book on mommyhood is perfect because it is what I love best! I just don't know if I can actually do it. Or if I do do it, if anyone would actually publish it! Time to start praying! 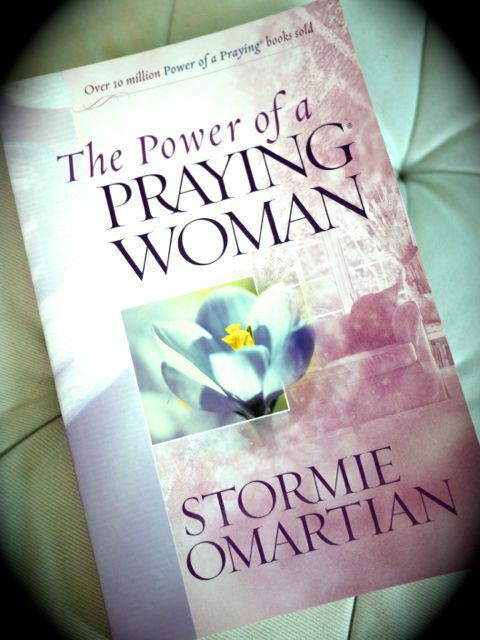 The Power of a Praying Woman by Stormie Omartian. I have Power of a Praying Wife and Power of a Praying Parent so when I saw this on the bookshelf, I grabbed it. 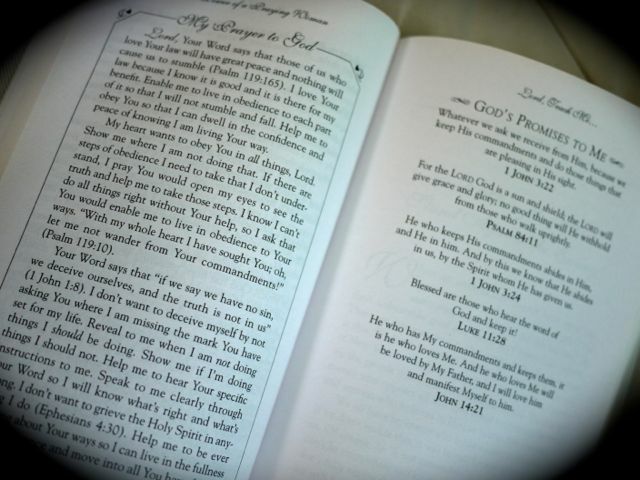 Praying Wife changed my life. But I'm not done reading it so I haven't started on Praying Woman yet. I plan to use that as my devotional as soon as I turn 36 (which is 7 days from now!). 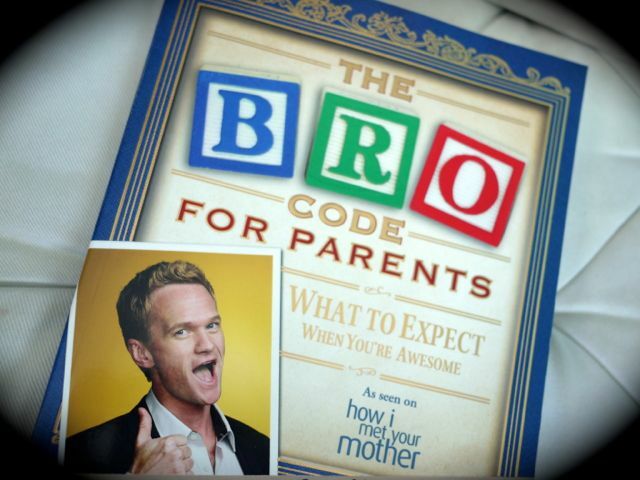 The Bro Code for Parents by Barney Stinson. Now this one I bought for Vince since I thought it's targeted to dads. We're both fans of How I Met Your Mother (although we wish they'd end the show already and just reveal who the mother is!). Vince was so happy with it and then we both started reading it and realized it's really for parents, as in not just for dads but for moms, too. So it's a book for both of us! 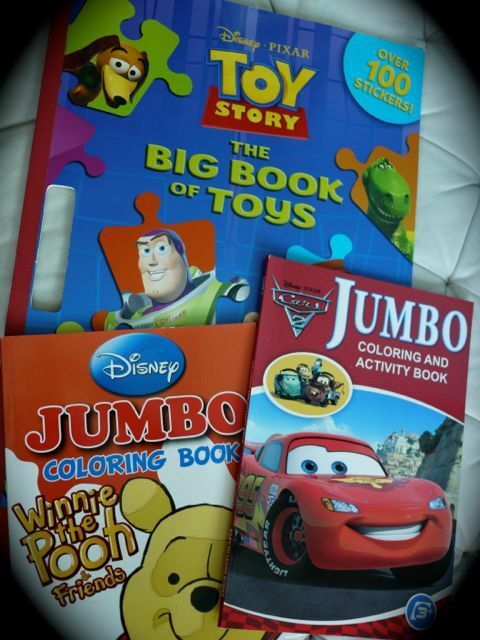 And, because we're parents, we just had to get assorted coloring books and Crayola crayons for Vito. Actually, Vince is always the one thinking of what to get the kids—books, toys, clothes. He's a super daddy that way. I'm more concerned with the supply of milk, diapers and food. When it comes to my kids' education and entertainment, why, it just never occurs to me! Thank God I have a husband! 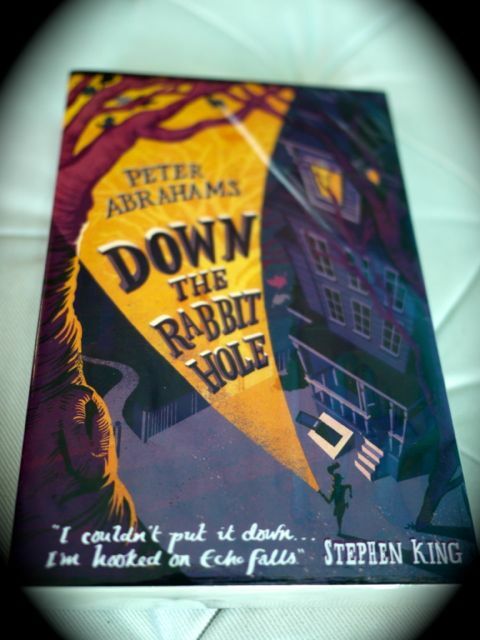 I was on my way to the cashier when I saw Down the Rabbit Hole by Peter Abrahams. What caught my eye were two things: the cover looked like the cover art of Harry Potter and Stephen King said he couldn't put it down. Ya know, the cover could be all black for all I care but if Stephen King—only the author who influenced me the most!—says he couldn't put the book down, then I must have that book! I have a lot to read! I should have lots of free time soon so I'm looking forward to curling up in bed with my bookstore goodies. Actually, I've already started (hooray for long weekends!). There's not much you can do when you're breastfeeding except Tweeting, texting and reading a magazine and a book! Enjoy your holiday! Good luck with your book, F! I don't hate Cupcakes and Cashmere, ha! I think it's very pretty and because I'm new to her blog, it was a very interesting book for me. But now that I'm actually reading her blog, I just feel like, "Hey, this came out in her book." So I feel like I shouldn't have paid for the book—a small book that's P795!—because it's all in the blog... for FREE!!! 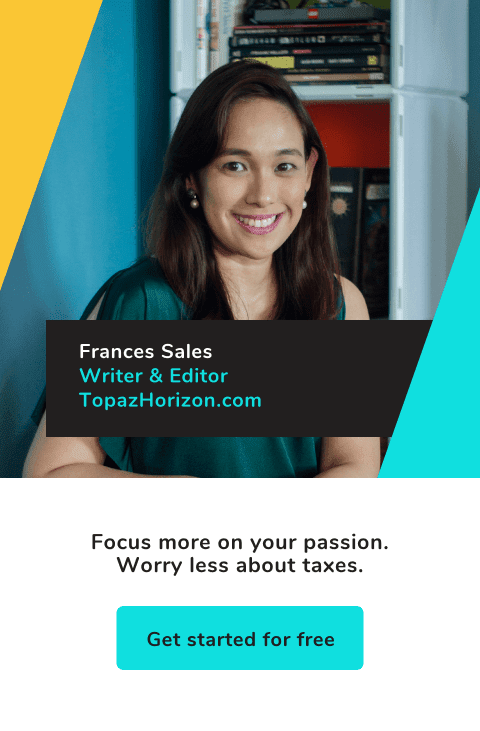 Read your blog for the first time, and what do I see? A book that Stephen King—who’s a major force in my life, by the way—says he can’t put down! This is awesome. I’m checking out Down the Rabbit Hole when I hit the mall soon. Hi Sands! Thanks for dropping by. How did you find my silly little blog? =) And a Stephen King fan, too! I like you already. Agree with HIMYM. It has become a 'Lily and Marshall' show, and not sure if the coming season is the finale. They could actually reveal who the mother is and keep the show going until season 10. Ya, I still think it's funny but every time they introduce a girl and she's STILL NOT the mother, I get exasperated. I'm losing patience actually! I know! I know! I'm so excited to do it! I already have my outline of chapters, I've begun writing a few pages. It's really something I think I can do, Kat!